Ever find yourself exhausted by the daily grind? Worn down by the needs & wants of others? Stuck in a cycle where you’re last on your own to-do list? The exhilarating news is that you can change all of that. 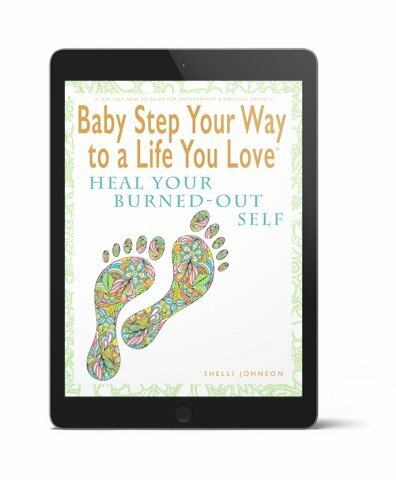 This book is an invitation for you to delve deeper into who you are so you can find out what makes you come alive. I’m a big believer in the power of taking small steps to get you anywhere you need or want to go. With that in mind, I invite you inside these pages on a creative self-help adventure. You’ll do daily small-sized activities aimed at: 1. helping you heal yourself & 2. inspiring you to create a life you love. My hope is that you’ll use these pages to ignite your imagination, discard your limitations, & free your inner creator. Please note: This book has the exact same daily steps in it as the adult coloring book of the same name from the Color Your Way To A Life You Love™ series. It’s simply in ebook form for those people who are not interested in coloring.